To claim this profile, please confirm you are Lauren Bettencourt. To follow this profile, please let us know your relationship to Lauren Bettencourt. Lauren's basketball stats have been updated for the win @ Union Area. RESULTWin Girls varsity basketball @ Union Area. The Riverside varsity basketball team won Monday's away non-conference game against Union Area (New Castle, PA) by a score of 68-42. Lauren had 9 photos tagged from the photo gallery "Lincoln vs. Riverside." 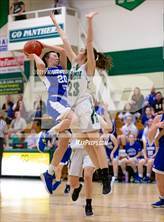 Lauren's basketball stats have been updated for the loss vs. Lincoln. 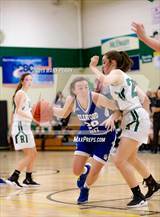 The Riverside varsity basketball team lost Thursday's home conference game against rival school Lincoln (Ellwood City, PA) by a score of 38-36. Lauren's basketball stats have been updated for the loss @ Avonworth. RESULTLoss Girls varsity basketball @ Avonworth. The Riverside varsity basketball team lost Monday's away conference game against Avonworth (Pittsburgh, PA) by a score of 55-23. Lauren's basketball stats have been updated for the win @ Freedom Area. RESULTWin Girls varsity basketball @ Freedom Area. The Riverside varsity basketball team won Friday's away conference game against Freedom Area (Freedom, PA) by a score of 51-43. 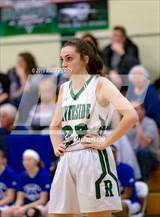 Lauren's basketball stats have been updated for the loss vs. Beaver Falls. RESULTLoss Girls varsity basketball vs. Beaver Falls. The Riverside varsity basketball team lost Monday's home conference game against Beaver Falls (PA) by a score of 38-31. Lauren's basketball stats have been updated for the loss @ Beaver. RESULTLoss Girls varsity basketball @ Beaver. 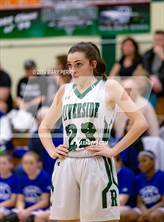 The Riverside varsity basketball team lost Thursday's away conference game against Beaver (PA) by a score of 40-24. Lauren's basketball stats have been updated for the loss @ Neshannock. RESULTLoss Girls varsity basketball @ Neshannock. The Riverside varsity basketball team lost Monday's away conference game against Neshannock (New Castle, PA) by a score of 56-31. Lauren's basketball stats have been updated for the win vs. Mohawk Area. 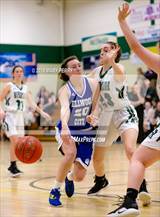 RESULTWin Girls varsity basketball vs. Mohawk Area. The Riverside varsity basketball team won Thursday's home conference game against Mohawk Area (Bessemer, PA) by a score of 42-39. Lauren's basketball stats have been updated for the loss @ Lincoln. The Riverside varsity basketball team lost Monday's away conference game against rival school Lincoln (Ellwood City, PA) by a score of 42-31.